BARELY four months after an office belonging to the Economic and Financial Crimes Commission (EFCC) at Wuse Zone 7, Abuja, was attacked by some persons, a house belonging to the commission’s acting chairman, Ibrahim Magu, was, on Tuesday night, attacked by gunmen. The men were said to have attacked the house located on a farm belonging to Magu at Karshi, Abuja, at about 10.00 p.m. and rustled some cattle and sheep in the farm. A source in the anti-corruption commission informed the Nigerian Tribune that when the attackers arrived the farm, they opened fire on the policemen guarding the place. The source added that Tuesday’s attack on the farm was the second in recent months. This, the source, stated was the reason some policemen were deployed in the farm. It was learnt that a police sergeant was killed in the attack on the farmhouse. Meanwhile, the anti-graft agency, on Wednesday, confirmed the attack, saying, however, that it would not speculate on the motives behind the attack. A statement made available to the Nigerian Tribune by the commission’s Head, Media and Publicity, Wilson Uwujaren, assured that despite the attack, EFCC would not be deterred in its mission to rid Nigeria of corruption. “The EFCC confirms an attack on the property of the acting chairman of the commission, Ibrahim Magu, which unfortunately resulted in the death of a security official. “The property, a farmhouse located in Karshi, a suburb of Abuja, was attacked by gunmen at about 10.00 p.m. on December 12. “The unidentified men killed a police sergeant on duty. The incident was the second such attack on the same farmhouse. 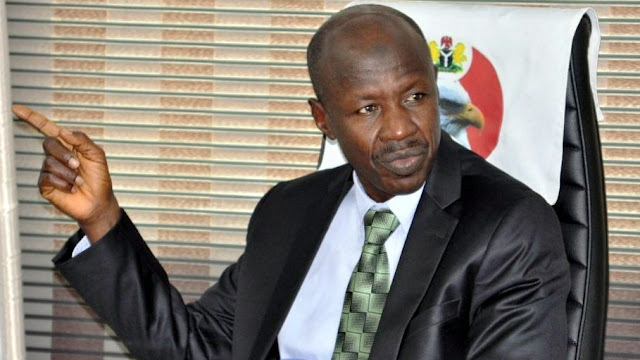 “While the commission will not speculate on the motives for the attack or the sponsors, it wishes to state that the EFCC under the leadership of Magu will not be deterred in its mission of ridding Nigeria of corruption,” the statement said. Tuesday’s attack came on the heels of Monday’s walk against corruption, led by Magu, to mark the 2017 International Day against Corruption.